Sunlight Care - What's Needed? New Jersey Home Health Aides are certified through the New Jersey Board of Nursing. Visit their website at: http://www.njconsumeraffairs.gov/hhh/Pages/default.aspx. Certified Home Health Aides (CHHAs) are required to be employed by a Home Health Care Agency working under the supervision of a Registered Nurse (RN). Per Board of Nursing regulations, a CHHA is not allowed to work privately in the home without RN supervision. The certification process begins when you start the class. You will first need to complete the appropriate application. If you are a new applicant for the certification, you will need to go to the state website and make an account for the application process. The website is: https://newjersey.mylicense.com/eGov/PersonSearchResults.aspx. If your certification has been expired for over 5 years, you will need to retake the class again. If it has been expired for less than 5 years, you will have to take the test and do the hands on skills evaluation before reapplying to the BON. The applications need to be filled out completely and truthfully. Online application payments are due at time of submission. You will need to pay by credit or debit card. Applications that need to be mailed in must include a money order or check. Any information that comes back that is not truthful can result in immediate denial of your certification. Citizenship/Immigration Status: US citizens are to provide birth certificates or valid passports to be uploaded on the website for new applicants. Permanent residents will need to provide copies of their permanent resident card (front and back) along with any other immigration paperwork. Legal Name Change: If you have ever legally changed your name, whether through marriage, divorce or just a name change, documents will need to be provided to prove the legal name change. Documents include: Marriage certificate, court documents, divorce decrees, etc. Copies are permitted and will need to be upload on the website..
Student Loans: If you have a student loan out that you are in default of, meaning you aren't making your required payments; you should contact your loan provider and set up a new payment plan. Student loans in deferment or forbearance are not included in defaulted loans. Documentation of this new payment plan must be provided with your state application. Students that are in default and do not send in the required documents may potentially be denied. Please read the information in regards to student loans carefully. Documents will need to be uploaded on the website for new applicants. Child Support: The BON will deny students that are in arrears of their child support obligations. This is only for those that are paying OUT child support to another party. Please read the questions and section on child support carefully. Criminal Convictions/Disqualifying Crimes: On the Board of Nursings Website is a list of disqualifying crimes. When you answer the question about being convicted of a disqualifying crime (#15 on the initial application), please be honest. If you answer you have NOT been convicted and you have been the BON may automatically deny you. The best thing to do is be honest and provide as much documentation as possible for the BON to review. Documents include: judgments, rehabilitation documents, a letter as to what happened and how you learned from it, etc. The BON will review each case separately and will determine if they will certify you or not. If you are not sure if you have been convicted of a disqualifying crime, it is best to look for all your paperwork and find the statute codes that you were convicted with. You can also call the Board of Nursing and see if they are able to give any information to you. In the initial application, it is extremely important that you carefully read any questions which pertain to any previous certifications/licenses in NJ or any other state or the attempt to apply for one. If you answer “Yes” to any of the questions, please provide additional documentations on a separate sheet of paper to include with the upload. Passport Photo: The passport photo is not your passport. 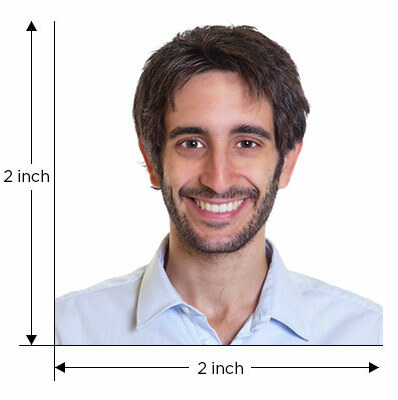 The photo is a 2”X2”, also known as the passport photo due to its size. It can be taken at CVS, Walgreens, Walmart, Rite-Aid, etc. You are able to take the photo in your own home as long as it follows the passport photo regulations. This photo is to have a white background, your face and shoulders. Your features must be clear. NO SELFIES! Please review the sample picture to the right. For new applicants, the photo will be uploaded to your online application. Reinstatements will need to attach their picture to the application with glue and sign the front. Application Fees: The BON sets fees that vary from $50.00 to $120.00 for certification. At time of registration, you will be informed of the fees that you will need to pay at the end of the class. These fees ARE NOT included in the class cost. New applicants will have to pay online at time of submitting the application for certification. Reinstatements and re-activations will need a personal check or money order to submit with the paper application. Employment: As a CHHA you must be employed by an agency while working under the supervision of a RN. At the time you finish your application online, you want to have a promise of employment by an agency. You don’t have to start working yet, but they should have an intention of hiring you upon certification. The agency that would like to employ you will need to register you in the employment system monitored by the Board of Nursing. We understand that this seems backwards; having employment lined up before being certified, but those are BON regulations and unfortunately, there is nothing we can do to change that. You are not obligated to apply for employment with Sunlight Care but if you are interested you may apply online at: https://sunlightcare.ersp.biz/employment. This DOES NOT mean you are guaranteed employment! You should begin treating your first interaction with Sunlight Care as the start of your interview. The new online certification process has made the process for certification much easier and quicker. As soon as you register for class you should be applying for the certification on the Board of Nursing's website. You will need to submit all documentation and pay the appropriate fees. Please keep in mind that applying does not mean you have finished a class. You will have up to 6 months to complete the application after finishing the course. Once you have applied, the BON will send an email and letter that you need to get your fingerprinting done. We recommend doing this as soon as possible. All fingerprinting information will be sent to you by the state. Sunlight Care does not send out the fingerprinting letters. When you finish AND pass the class AND submit your application to the state, we will submit a letter of completion to the BON for each individual student. Your agency that is offering employment to you, will need to log in to their state registry and add you to their list for employment. Once that is done and your fingerprinting/background check comes back clear, you will receive your certification. The Board of Nursing must be notified immediately if you move. If they are unaware and they must mail any paperwork to you, the post office will be unable to forward anything from the state. JACC is a State-funded program that provides a broad array of in-home services to enable an individual, at risk of placement in a nursing facility and who meets income and resource requirements, to remain in his or her community home. By providing a uniquely designed package of supports for the individual, JACC delays or prevents placement in a nursing facility. Start your education now for free? Get ready for your training class and understand more about the Home Care industry and patient care. Sign up for a free account at MyESSP.com and start your training. Employee Support Services (ESS) provides Aides with free Continuing Education Units (CEU). This site will help you pass your CHHA training class.